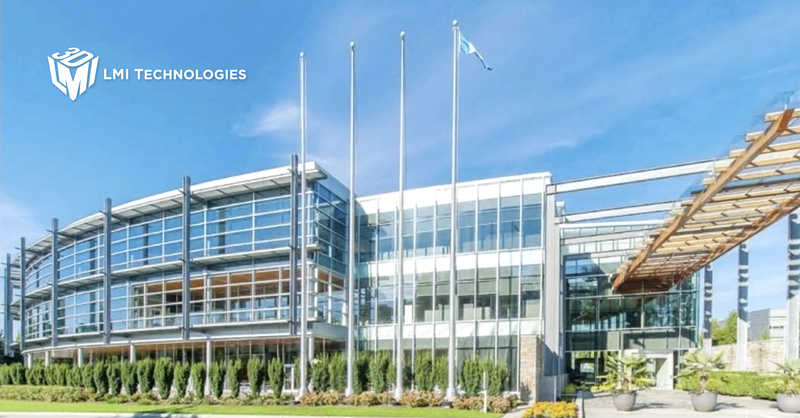 VANCOUVER, BC--(Marketwired - November 01, 2016) - LMI Technologies (LMI), a leading developer of smart 3D inspection and scanning solutions for material optimization and factory automation today announced it will be moving its corporate headquarters to 9200 Glenlyon Parkway in Burnaby, BC. Opened in 1995, Glenlyon Business Park is situated in close proximity to the Fraser River in Burnaby's Big Bend area. The move marks a significant upgrade from LMI's current 20,647 sq.ft. location on Delta's Annacis Island, to an expansive new 62,400 sq.ft. office complete with state-of-the-art infrastructure and amenities. The 9200 Glenlyon location effectively doubles the company's manufacturing space in order to meet rising demand for sensor production, while providing added floorspace to accommodate a rapidly growing staff. The increased square footage and custom-designed manufacturing facilities will allow LMI to deliver the highest quality 3D solutions on the market for many years to come–while offering employees an enriched work experience with access to a gymnasium, basketball/tennis courts, rooftop patio and riverside parkland and walking paths. "This is a very exciting time at LMI. We're moving into a great new location that supports our rapid growth, allows us to continue to deliver the most innovative 3D technologies, and will easily scale up as we continue to expand over the years to come. Our new headquarters is a testament to how far we've come, and a sign of the bright future ahead," said Terry Arden, CEO, LMI Technologies. LMI Technologies will start to move to its new HQ location as of December 5th, 2016, and complete the move by January 15, 2017. At LMI Technologies we work to advance 3D measurement with smart sensor technology. Our award-winning, FactorySmart™ solutions improve the quality and efficiency of factory production by providing fast, accurate, reliable inspection solutions that leverage smart 3D technologies. Unlike contact based measurement or 2D vision, our products remove complexity and dramatically reduce implementation cost while achieving repeatable, highly accurate measurement. To learn more about how LMI's inspection solutions can benefit your business, we invite you to contact us at contact@lmi3d.com or visit us at www.lmi3d.com to explore the possibilities of smart 3D technology.